Creative design differentiates successful products. 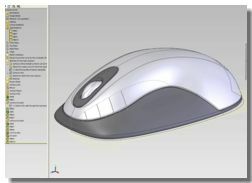 Challenge of transforming imaginative ideas into real-world products is made simple using SolidWorks. 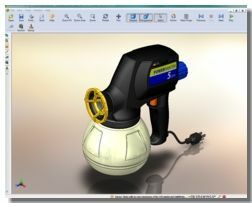 Be they Free form surfacing, dynamic editing of 3D contours, deformable modelling, interactive manipulation of complex geometries or transforming cloud point scan data set into solids, SolidWorks has been a great companion for Industrial Designers. Feasibility of design concepts are easily evaluated inside SolidWorks using a rich set of Fit, form and Functional validation toolset, making it easy for designers to ensure their imagination becomes a reality. Over One Million Engineers have chosen SolidWorks ! Join the Exclusive Club of Becoming 1 In a Million ! Did You Know that Sustainable Design leads to higher profitability and lower cost?